At Brownsburg Baptist Church we want you to be able to give in a way that's convenient for you. That's why we have provided for you the means to be able to give not just during the worship service, but electronically as well. You can give online through our website, and using "text-to-give" from your cell phone. We want our church family, and anyone else who may feel led to support our ministry, to be able to use this avenue of giving to worship the Lord. If you're a guest, and just visiting, please do not feel obligated to give. No matter how you choose to give, 100% of your gift will be given to the designation of your choice. Tithe (General Fund) - Supports the daily operating expenses of Brownsburg Baptist Church. Missions - Supports the spreading of the Gospel throughout the world by investing in the missionary works supported by Brownsburg Baptist Church. For more information about our missions program, click here. Benevolence - Supports the needs of members, and those identified with a particular special need. Building Fund - Funds the ongoing building development of Brownsburg Baptist Church. Special Designations - At different times during the year we recieve offerings for a specific ministry needs. Such as youth camp, special speakers, and fund raisers. Give online is free, easy, and secure for each person. Giving online can be done from any computer, tablet, or smartphone. 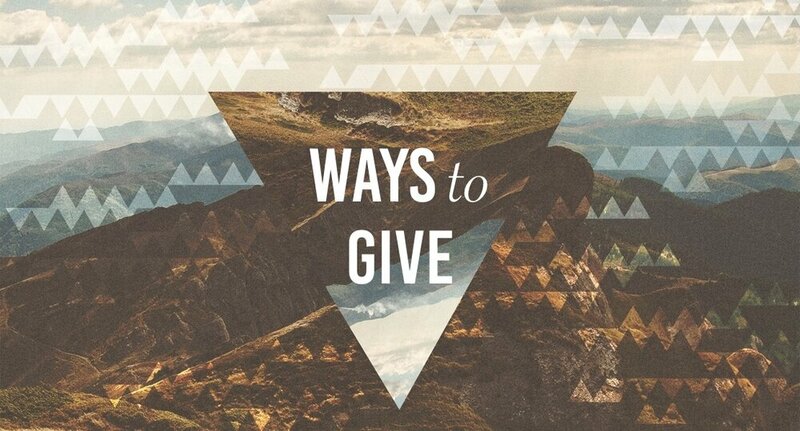 There are 2 ways for people to give. 1. One-time: Simply click the link "Click to Give" and you will be directed to another secure page. Within this webpage you will see our church logo, so you know you're in the right place, and instructions for giving. All you have to do is decide where you would like the money to be designated, how much, provide an email (a donation receipt will be sent to your email), and how you would like give. Click the "give button" and that's it, you're all done! 2. Regularly: If you would like to give to our church on a regular basis, with ACH transfers, its just as easy as giving a one-time donation. After you have clicked "Click to Give" you will be directed to a secure page with our church logo, so you know you're in the right place. For regular ACH transfers you will need to create an account that takes less than a minute. Once you have an account set up simply choose where you want the money to be designated, how often, what day to be taken out each week, date of first donation, and method of payment, then click the "start giving button" at the bottom of the page. When you're done you will begin receive a report each month for giving throughout the year. What if I make a mistake and need the transaction reversed? "Text any amount to 84321 to give." First time givers will be prompted for a one-time setup which takes about two minutes. After that, donating is as simple as sending a text. It's the easiest, most spontaneous way to donate! Immediatley text the word "refund" and you will recieve a text refunding that amount, and will then be able to send the corrected amount.